Asia Pacific Smart Lighting Market was over USD 1.2 billion in 2017 and is expected to register a lucrative growth between 2018 and 2024 at a CAGR of around 20%. This excellent growth is attributed to the growing emphasis on reducing the energy consumption by lighting systems in developing economies in the region. Also, government initiatives for offering low-cost LED lights at subsidized prices are expected to contribute majorly to the accelerated growth of the Asia Pacific smart lighting market. The LED segment held a majority share of the APAC smart lighting market with respect to lighting sources in 2017, amounting to nearly 70%. 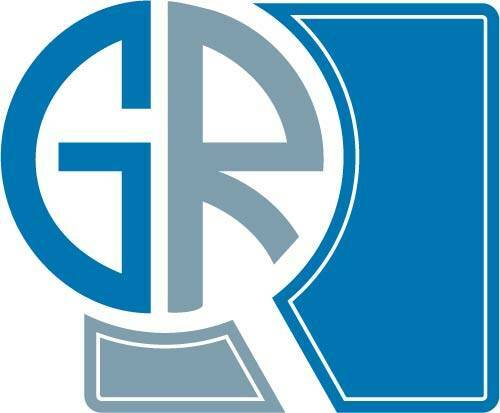 The growth of this market is attributed to the high energy efficiency and durability of the lighting sources. They are environment-friendly, consume less power, and do not contain mercury & or other harmful substances. These properties make LED lamps ideal for residential lighting purposes. The highways and roadways market is expected to hold the majority share of the APAC smart lighting market by 2024 due to the growing emphasis on establishing smart street lighting networks for reducing a major proportion of power consumption by street lighting systems. The low maintenance cost along with the high visibility and real-time system control of the smart lighting systems also augments their demand for highways and roadways applications. China held a majority of share of around 25% in the Asia Pacific smart lighting market in 2017. The major products in the Chinese smart lighting market include Compact Fluorescent Lamps (CFL), Light Emitting Diodes (LED), and high-density discharge lamps. The high-density discharge lamps are still in their emerging phase in China. Even though they offer high efficiency, durability, and are low-energy consuming devices, they are highly expensive as compared to LEDs and CFLs and suffer external electronic interference. 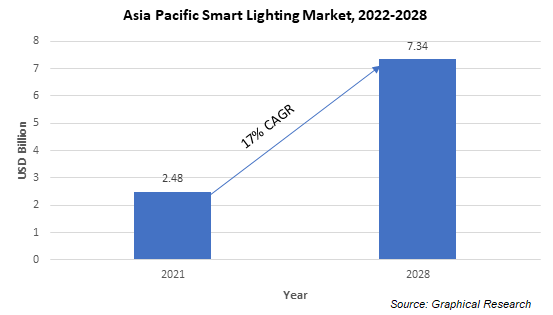 The companies operating in the Asia Pacific smart lighting market focus on strategic partnerships and collaborations to strengthen their presence in the market. For instance, in November 2017, Philips Lighting partnered with Baidu, the leading Chinese language internet search provider to bring connected lighting to smart homes in China. Philips Lighting added Baidu to its ‘Friends of Hue’ partner program to integrate Philips Hue connected lighting system with Baidu’s DuerOS conversational Artificial Intelligence (AI) Operating System (OS). Some of the key players operating in the Asia Pacific smart lighting market include Tvilight, Philips Lighting, Cree, Digital Lumens, Bridgelux, Honeywell, GE Lighting, Legrand, Echelon, Tvilight, Hubbell, Acuity Brands, OSRAM, Silver Spring Networks, and Cooper Industries (Eaton).